JAT -somebody define it as just action takers n in many other ways but i wanna tell u people something real i don't know much about other caste but i can say that jat r those people who can't even see people crying in pain n who never try to cheat people not because they don't like enjoying masti n all but they didn't wanna fill their heart with regret for one or other thing they have done to others .they never forgive the people who try to cheat them. I can't say about others but for me this country is my motherland.i really doesn't like dividing this in group likewise these thackrey's are doing why don't they think about the muslim people who had not even allowed government to bury the bodies of terrorist (which were also muslim) in entire mumbai....why these people at some great posts didn't understand that we will not get anything out of here ... we will have to report finally at the god's gate without money or anything than how we will be able to face god . n i know my jat brothers know this thing better than anyone thats why we never have any fight over these kind of issues which divide our motherland into pieces otherwise we will have our separate country in north india with our own rules.thats why i think their should not be any fight over telangana or bundelkhand .no doubt these places will have huge development after forming into a new state but at that cost of forming a new state our economy will not survive upto that level at which now it is . finally i would like to say these words only no doubt jats r crazy about things they think less n work more but they r more or less people who r dominated to their motherland or country. Jat agitation in Jind district of haryana disrupted rail services in haryana. Agitation by Jats in Haryana's Jind district over the caste violence in Mirchpur has disrupted rail services on Delhi-Ferozepur section for the last six days. The agitation is threatening to spill over to other parts of the state with the protesters now planning to block crucial rail and highway points at different places. Demanding a fresh probe into the Mirchpur incident, Jat activists in Bibipur village blocked the Jind-Bhiwani state highway, about 7 km away from Jind town, on Thursday morning. The route connects Himachal Pradesh and Punjab to Rajasthan through Haryana. Protesters started a chain hunger strike, with 101 protesters going on fast. Mahapanchayat convener Suresh Koth told mediapersons that they would target more rail and road points from Friday. Besides a fresh probe into Mirchpur incident, the protesters are also demanding shifting of the trial of 98 accused back to Haryana. Deepak Chahar is new face in Indian cricket. 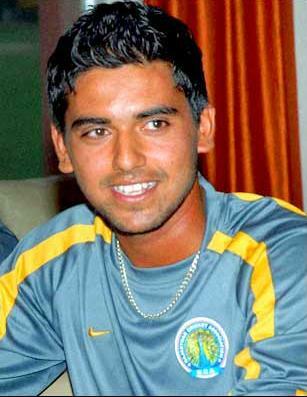 Deepak Chahar was born in Jat Clan Chahar on 7th August 1992 in Agra, Uttar Pradesh. He play for Rajasthan Ranji Team and becomes renowned bowler when Deepak Chahar made a sensational first-class debut with an eight-wicket haul as Hyderabad slumped to the lowest total in the history of Ranji Trophy when it folded for just 21 runs against Rajasthan in a Plate division match in Jaipur on Monday (November 1). Chahar, an 18-year-old medium pacer, sizzled on the opening day of the 2010 season as he gave away just 10 runs in an amazing spell of 7.3 overs and takes 8 Wicket. IPL Franchise Rajasthan Royals, Jaipur has signed the talented swing bowler Deepak Chahar for the next two editions of the Indian Premier League (IPL).